In 2017, Bell & Ross presented the concept of wearing a watch movement directly on the wrist with the BR-X2 Tourbillon Micro-Rotor. 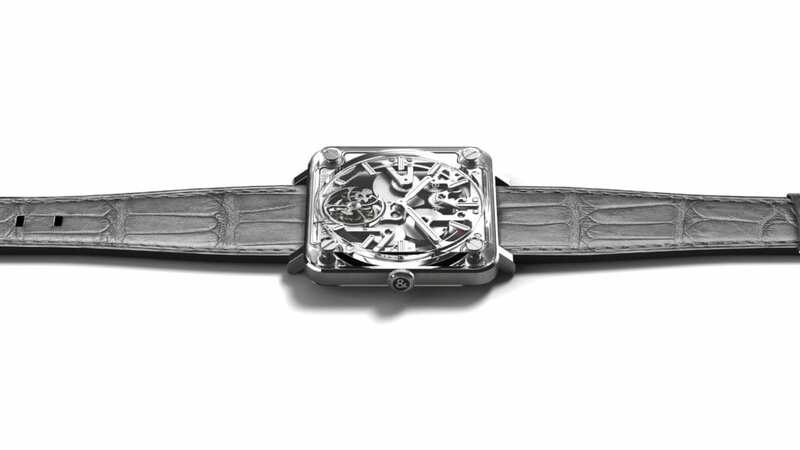 Now, the transparent timepiece is taken to the next level with a skeletonised version. Part of Bell & Ross’ “Experimental” collection, the BR X2 Skeleton Tourbillon Micro-Rotor boldly eschews its case for extreme exposure. Its movement is sandwiched between two sapphire crystal plates and linked by a narrow steel band, giving the illusion of invisibility. 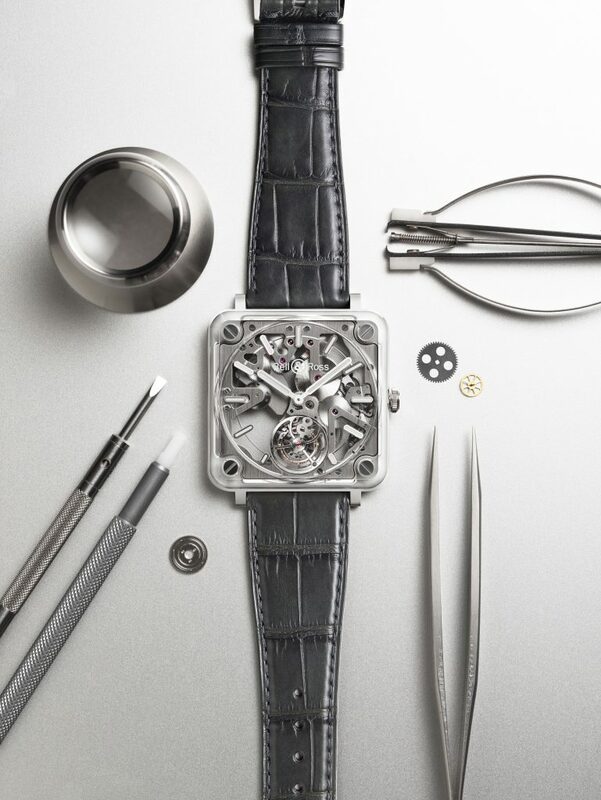 The manufacture calibre BR-CAL.381 is crafted in Bell & Ross’ signature square. It displays hours and minutes with optimal precision thanks to a flying tourbillon that compensates for the Earth’s gravitational pull. 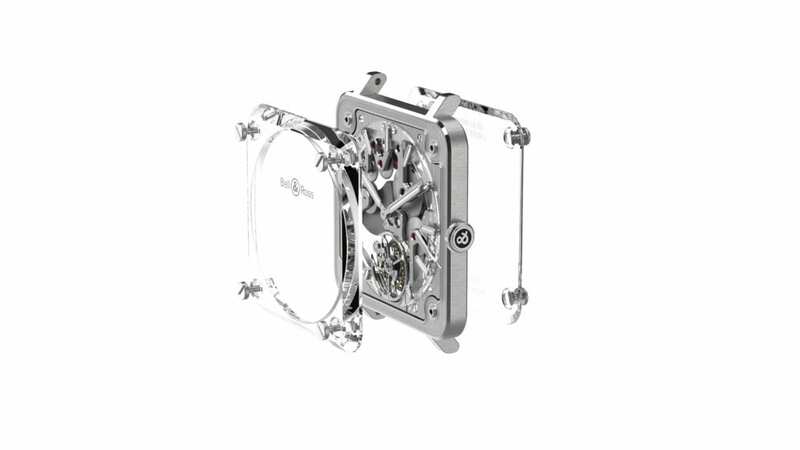 The movement’s architecture is further pared to enhance the see-through appeal. Bell & Ross celebrates 15 years of partnership with luxury timepiece retailer Cortina Watch with a limited edition BR 03-92 Diver .. Since the turn of the century, timepieces have come under the scrutiny of smartphone-wielding skeptics who believe that the digits .. In most watch collections, timepieces clad in precious silver and gold are a dime a dozen. One metal left in the shadows of its lu .. Here are three chronographs that lend a helping hand, in an effort to work towards a better lap timing to combat your tardiness. These sleeper hits make the perfect bedfellows.